Experts claim the energy sector is vulnerable to attack — but how can we fix it? Last June, on the day the British public went to the polls in the 2017 general election, the country’s energy system was hit by a major cyberattack. According to a leaked memo from spy agency GCHQ, companies across the sector were compromised by hackers. The memo – and press reports at the time – did not name the “state-sponsored hostile threat actors” believed to be responsible. But western experts allege that the attack was likely carried out by Dragonfly, a team of hackers the US claims is based in Russia. One of the problems with cyber security is that the evidence – of who carried out the crime and who they work for – rarely comes to light. Much of the information instead comes from highly politicised security services or firms that benefit from increased spending on cyber security. As the UK embarks on an energy transformation – from new nuclear power plants to renewable energy and home batteries – some, or all, of these networks may be vulnerable to attacks motivated by money, politics or straight-forward blackmail, such as the recent WannaCry episode that paralysed hospitals across the country. 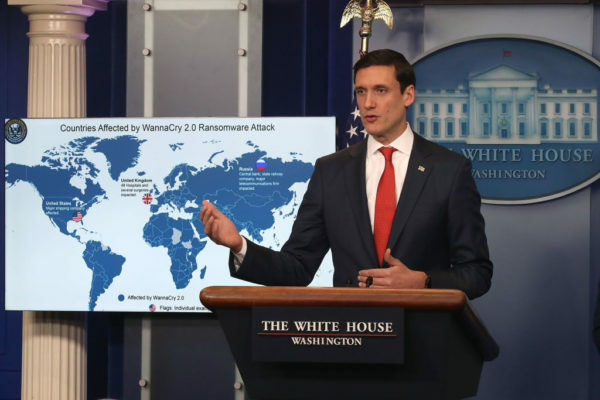 Symantec, the world-leading cybersecurity firm that discovered Dragonfly and now monitors it, told Unearthed that the group was responsible for the election day hack, and for many other incidents like it in the UK. This claim is supported by a recent investigation by Cylance, another cybersecurity firm, which details how Dragonfly phished its way into energy company systems using a phony word document CV for a guy called ‘Jacob Morrison’. Dragonfly may be not named in any public literature produced by the UK’s National Cyber Security Centre (NCSC), but the US Department of Homeland Security puts the group right at the top of its report on the surge of cyber activity around critical infrastructure, to which the NCSC regularly refers. So what are the hackers doing in the UK’s energy system? At this point, experts believe, they are simply spying, learning how every aspect of the system works — from the National Grid and the power stations it manages to manufacturers of energy infrastructure equipment and even energy-focused commodity traders. But concern is focused on what this extensive and sophisticated reconnaissance mission might be in preparation for: what if hackers – working solo or with links to organised crime or security services – had the ability to cut the power for millions of homes? 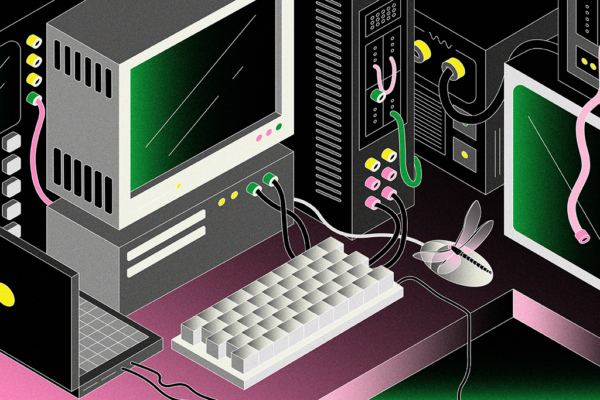 The go-to example of this kind of cybersabotage took place in Ukraine in late 2015, during a period of extreme political tension, when a group of hackers – not Dragonfly – turned off the lights for vast swathes of the country’s west for up to six hours, with knock-on effects still felt months later. For a spell in the middle of one of Ukraine’s famously freezing winters, 230,000 homes were left without electricity. Hackers seized the grid operator’s control systems and quickly took out 30 substations and disabled the backup power supplies for officials tasked with tackling the crisis. Vikram Thakur, technical director at Symantec, told Unearthed: “In Ukraine the attackers knew exactly which buttons to press and what changes to make in order to turn off the lights. Hackers may have learned from the Ukraine incident, just as security experts claim they are learning from their ventures into the UK’s critical infrastructure. Dr Beyza Unal, a Chatham House expert on cybersecurity of the energy sector, told Unearthed, at this point, “it’s not so much about the damage as it is about learning how far they can go in a company’s systems to get the pattern of that system”. “Attackers could already be in the system. You should always assume as an organisation that you have been compromised or will be compromised. So how do groups these groups execute attacks? First they identify targets. “Ireland, the UK, the United States, Turkey, Canada — all of these countries have been on the receiving end of Dragonfly attacks,” according to Thakur. Within these countries, Dr Unal said, special attention should be paid to “the places where real-time information passes,” like the National Grid (which declined to comment). “If you hijack something that relies on real time information, then you are either giving false information to the system or you are manipulating the information that goes through. Once the targets have been identified, it becomes a matter of breaking and entering. Hacking groups often deploy a range of deceptions simultaneously. There’s phishing, which many people will be familiar with: those dodgy emails from people you don’t know with a mystery link to click on or attachment to download that will open the floodgates for malware. Then there’s spearphishing, which is basically the same thing as phishing but smarter, with hackers making those dodgy emails look like they come from a trusted source: a friend, coworker or legit company like Google or Paypal. The target is more likely to open the email and more likely to click on the link. This, for instance, is how Hillary Clinton’s campaign manager John Podesta had his emails hacked in 2016. Hacking groups have also recently become known for using a technique called the ‘watering hole.’ Like predators waiting for thirsty animals at a pool or pond, the hackers wait for their target to come to them. They choose a website they know the target will visit and there they plant a bug. But it was, apparently, regular old phishing that got Dragonfly into the UK’s energy system on election day, specifically a phony word document résumé for a guy called Jacob Morrison, which downloaded malware that harvests log-in details, according to Cylance’s investigation. Once they’re in, hackers try to find their way onto the computers which handle the company’s control systems — except those are rarely connected to the internet. There is, however, usually at least one computer on the operations side of the house which is hooked up to one computer on the corporate side of the house, which is where executives can email, surf the net and – of course – be compromised by hackers. Thakur said: “For the hackers to really impact some change – turn off or turn on some buttons – they first need to gain access to the corporate side and then find their way get on the computers that will allow them to jump over to the operational technology [OT] side of the house. Successfully making it to the operations side of the house can take a long time – months or even years – but Dragonfly hackers have done this, at least according to Thakur. “Once they were on the OT computers all they did was take screenshots,” he said. Why does energy efficiency matter for European energy security? Over the last year the NCSC has taken a more active role in pushing companies across the country’s critical infrastructure to take steps to curb the danger of cyberattacks. A series of high-profile scares such as the WannaCry ransomware incident last summer that paralysed computers used at hospitals (among others) and the introduction of new cybersecurity laws have reportedly driven key industries to better protect themselves. But as Thakur and Unal both pointed out, you can minimise the risk but you cannot remove it outright. From an environmental perspective, the obvious cybersecurity question is whether the UK’s current grid-led collection of big power projects is more vulnerable to this kind of attack than a more decentralised energy system composed of smaller generators, like windfarms. In theory, that could be one solution to the cybersecurity problem. After all, hackers might find it more difficult to turn off lights across the country if they had to break, enter, and spy on hundreds of energy targets rather than a select few (albeit a select few that are probably better resourced to handle cyber threats). This theory is “probably a bit of an oversimplification,” according to Dr Robert Gross, energy policy professor at Imperial College London. Applying his knowledge of blackouts and system malfunctions, Dr Gross gave thought to the prospect of a hostile cyber operation: “Historically and internationally we have seen what are called ‘common mode faults’ lead to a number of similar power stations being taken offline at the same time. This can lead to power shortages. 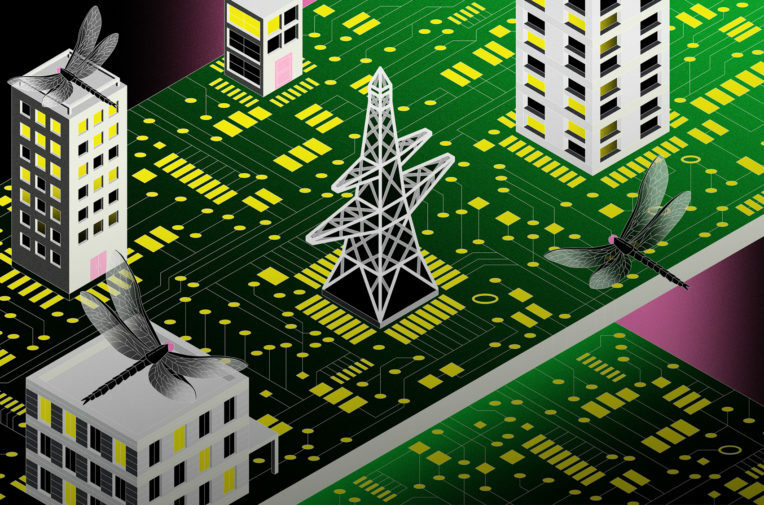 Dr Philip Grunewald, an energy researcher at Oxford’s environmental change institute, pointed out that decentralised systems can also have their own security risks: “There clearly are some serious vulnerabilities in seemingly benign distributed assets. Individually we may think that not much harm comes from a hacker knowing when our TV is on or when we run the washing machine. “However, if too many people are content with ‘password’ as their password, the aggregated load of such devices being toggled on or off at the wrong time simultaneously could destabilise the system very quickly. It likely depends how it is implemented. With so little detail on cyber attacks in the public domain it is hard for energy experts to plan. 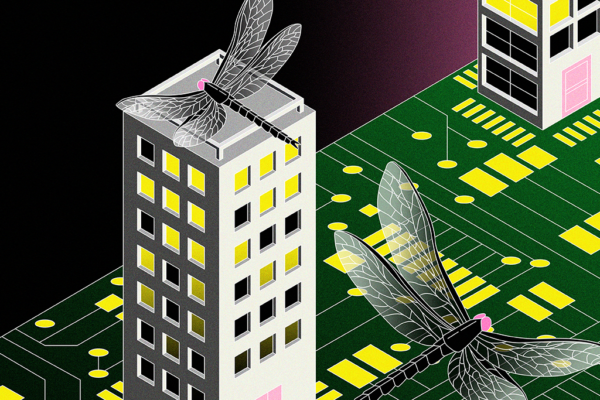 After a surge of activity over a couple of years, Dragonfly has effectively gone into hibernation since Symantec and US intelligence agencies started sounding the alarm last summer — but some in the cyber-security sector are warning of it’s return. “We think that considering the amount of press and information that has been outed about Dragonfly they are currently retooling and will be back soon enough to continue their campaigns, possibly with new methods,” Thakur said. Meanwhile, Dr Unal is concerned that cyber attacks from any source could end up leading to a serious international incident. It also gives the phrase ‘off-grid’ a whole new meaning.